What do I do if I’m Sued by a Credit Card Company?- The day of reckoning has finally arrived. If you’re like most people, you experienced a drop in your stomach when you opened the envelope announcing that a credit card company is suing you for outstanding debts. While most consumers are aware that there are consequences for not making payments, it can still feel overwhelming when… . . . .
Wells Fargo, Ocwen, Others Sanctioned for Violating Chapter 7 Bankruptcy Discharge- On December 5, 2016, several secured creditors including Wells Fargo, OneWest and Ocwen were ordered to pay a debtor $7,000 in emotional distress and $39,142 in punitive damages for willfully violating a the debtors discharge order. According to the ruling, creditors harassed the debtors for years, including filing a foreclosure illegally. 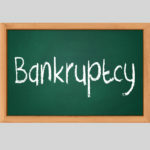 Read More Here… . . . .
Should You File Bankruptcy?- Most people are asking this question when they are beginning to realize the enormous and overwhelming burden they are under financially. Bankruptcy is a frightening thought and often associated with poor decisions or character, so most people are reticent to even entertain the idea. 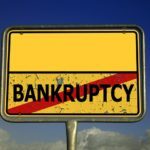 The irony of this, is that bankruptcy is literally protection, provided… . . . .
Bankruptcy Becomes an Option for Some Borrowers Burdened by Student Loans- Today the Wall Street Journal wrote an important bankruptcy article that may relate to you. We thought we'd share it here. Enjoy: Bankruptcy Becomes an Option for Some Borrowers Burdened by Student Loans - The Wall Street Journal Call our friendly staff today to see how bankruptcy attorney Millard Ramsey can help you: Call (423)… . . . .
Filing for Bankruptcy, Chapter 7 or Chapter 13?- Chapter 7 vs. Chapter 13 If none of the previously mentioned alternatives work for you, then you are down to no other option but to file for bankruptcy. The relevant law to consider is the Bankruptcy Code, which defines and outlines the procedures involved in filing for bankruptcy under each chapter. The two most common types… . . . .
How Can I Avoid Bankruptcy?- Some people make the mistake of treating bankruptcy as the be-all and end-all of everything. They think that once you get to that point where your debts far outweigh your assets and the chances of paying them off is not likely to happen anytime soon, the situation is ripe to file for bankruptcy. They think… . . . .
Burk & Ramsey – Bankruptcy Lawyer Helping Chattanooga and Surrounding Areas- Thanks for checking out our new blog! 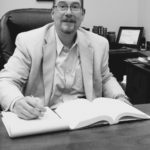 I'm attorney Millard Ramsey and today is our first post, so I just wanted to take a moment and say a few things about what this blog is about and why it will be useful to you. If you've already visited our Chattanooga bankruptcy website, you may have… . . . .